TurboTax is a solid tax-filing option for those with fairly straightforward tax needs, and help from real CPAs is available for troubleshooting (depending on purchased package). If you’re confused about your taxes, even though they’re relatively straightforward, then TurboTax is a solid choice. Why? Because you start the process off by ticking the boxes that most accurately represent your tax situation. Have kids? Check that box. Work a W-2 job? Mark off that box, too. Paid rent this year? Then select that option. Then, when you're all finished selecting off everything that applies to you, TurboTax will automatically suggest the tax package that’s best for your needs. Other perks of TurboTax Basic include easy inputting of your tax information, courtesy of your smartphone. You just snap a photo of your last W-2 and the information automatically populates. TurboTax also guarantees the highest return and offers unlimited tax advice from seasoned professionals all year long. And if you’re a tax-filing novice, rest assured. TurboTax will also guarantee the accuracy or they’ll pay your IRS fees. While we don’t recommend going toe-to-toe with the IRS, for beginners, this is a major plus. But the best part of the TurboTax Live Basic 2018 option? You can complete and file your taxes online, all from the comfort of your own couch. You can even do it while wearing sweatpants and binge-watching your latest Netflix obsession. No lengthy (read: boring) trip to your accountant needed. Read on for more insight into the TurboTax Basic option. See our other picks when it comes to the best tax software programs to use before you file. TurboTax offers five tiers of pricing, and the level of tax-related services and bonus features depend on which option you select. TurboTax Free Edition is the cheapest option, but only offers the e-filing process, which can be done manually and made simpler by snapping a photo of your W-2. You’ll also get audit support, as well as access to tax professionals throughout the year to answer all your burning tax-related questions. 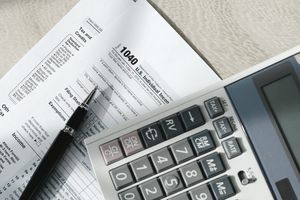 The Basic option is ideal for those with uncomplicated tax situations, such as those who work a traditional W-2 job, rent their home rather than own, have children or dependents, and don’t have a large stock portfolio. TurboTax Deluxe, which costs $69.99, offers everything included in the Basic package. But you’ll also get to talk with a tax expert about any deductions you may qualify for (their website touts 350-plus deductions, so take your pick). You can also review your mortgage deductions with a CPA or EA, deduct your charitable deductions, and, as with the Basic package, get final CPA or EA review before you file your taxes. The Deluxe option is best for those who own a home, have children or dependents, would like a bit more CPA or EA help, or even those who have experienced some sort of major life change and have questions. It’s meant for those who want to maximize deductions and credits. TurboTax Premier, ringing in at $99.99, includes everything offered in the Deluxe package, as well as a few more bells and whistles. For example, you’ll get the help of a CPA or EA to report your sales of any investments, stocks, or bonds, as well as an auto import option of your investment income. If you own a rental property, you’ll get insight into how to maximize your rental property income. Another new feature? Help accounting for gains/losses from any cryptocurrency transactions. So if you’re a Bitcoin fanatic, this one’s for you. TurboTax’s Premier option is the best choice for those with investments and real estate property. TurboTax Self-Employed is the best version for self-employed. If you’ve ever worked for yourself, you know how complicated and stressful – not to mention expensive – tax time can be. TurboTax’s Self-Employed packaged helps take the stress out of the season. It also includes all the features in the Premier option, as well as advice from a CPA or EA specifically tailored to freelancers, contractors, and small business owners. The Self-Employed option helps with finding deductions specific to your field, as well as free mileage and expense tracking with QuickBooks Self-Employed, another Intuit product. And this is important, as the more you can deduct from your taxable income, the lower your inevitable tax bill will be. You’ll also get a review of both your personal and small business income, as well as an audit assessment. And as with the other options, you’ll also get unlimited advice and help from a tax professional. This option is ideal for the self-employed. All in all, the best feature of TurboTax Basic is the user experience of the website software, as well as the superior user experience. The interactive card-based website design helps make the tax-filing process a bit less painful, and the quippy content doesn’t hurt. Another perk is the Show my refund so far option. It’s a real-time update of what your refund will be as information is inputted. Think of it as the dangling carrot. Another great feature offered by TurboTax (though not with the basic package) is the integration of QuickBooks Self-Employed, which is also owned by Intuit. QuickBooks is a great tool for the self-employed to track personal and business expenses (and keep them separate), as well as automatic mileage tracking, sending invoices, even managing your Schedule C deductions. The best part? It also automatically calculates your quarterly taxes, a must for serious freelancers. The personalized greetings, as well as screenshots of real, live CPAs didn’t hurt either. Account setup continues, and the user experience only gets better. Between asking users how they feel about filing their taxes and TurboTax’s excellent use of puns, you’ll be feeling better about filing your taxes in no time. If you have a PDF of last year’s return (and you should hold onto those, by the way), TurboTax will automatically populate your address, income, AGI, and any tax breaks. But if you don’t, you can select the manual option, which allows you to type in your information. In lieu of filling out a boring questionnaire to input your marital status, number of dependents, and the like, TurboTax makes use of interactive card-based website design, which is a breath of fresh air. Once you answer a few questions, TurboTax will give you a rundown, then provide a list of the necessary documents you’ll need to actually file, such as a 1098-E for student loan interest or a W-2 for your job. You can also print this page, which may be helpful for those who are a bit less diligent about personal record-keeping. You’ll continue to input your information, including information about any dependents. Since claiming dependents can be complicated, the no-nonsense tidbits of information shared along with the questionnaire are also helpful. Once you’re done inputting your information, which takes about 30 minutes, depending on how complicated your background is and your typing speed, TurboTax moves on to your federal return, then state return. Then, you’ll review your return, and finally, you’ll file. A few cons: There’s not really a progress bar of the entire process, just a menu on the left side of your screen that shows which section you’re currently completing: My Info, Federal, State, Review, then File. A percentage-based indicator of a user’s progress would be a welcome addition. Another con? Inputting your information manually also takes a good chunk of time, so the automatic upload option is recommended. Also worth noting: The desktop version of the software randomly closed during testing, citing a connection error. While this wasn’t a major issue during the review process, it would have been a very different story at 10 p.m. on April 14. Throughout the tax filing process via TurboTax, there’s an option to get support via a small blue button in the top right-hand corner of the screen. There’s also a pop-up that reminds you that help is available, which is definitely less annoying than your usual pop-up since let’s face it, filing taxes is hard. If you get stuck, you select the help option, then you are given the choice between searching the help center for the answer to your query, or setting up a call with a tax professional. If you choose the call option, you’re matched with a tax professional and a timed callback window. TurboTaxLive’s CPAs are prompt (during testing, a callback was received in less than 5 minutes), polite, and knowledgeable. Another bonus? While you receive via phone, there’s also a video chatting window that pops up, so you can actually see who you’re chatting with. There’s also a screen sharing option for those with more complicated tax questions. While wait time was minimal, it’s likely that the wait times will increase as tax season approaches. TurboTax also offers Audit Defense, in case you’re – gasp! – audited. In collaboration with TaxResources, Inc., an agency of tax experts, you’ll be walked through the audit, and they’ll even prepare documents and represent you in IRS meetings. It’s also a paid add-on. If you liked the desktop version of TurboTax, you’ll like the app even better. Same card-based design, except you can tap and swipe instead of clicking. You can also upload an iPhone snap of last year’s W-2 to get a headstart. The option scan your driver’s license to input your information makes setup even faster. Other great aspects of the app version? Extra security via passcode, Touch ID or Face ID (on iOS), and live video chatting with a tax professional if you get stuck. The TurboTax app is available for iOS or Android users. A main competitor of TurboTax, H&R Block offers competitive pricing, but the online support isn’t as comprehensive. But if you’re a brick-and-mortar kind of customer, you can always head into a local H&R Block to get your questions answered in real time. H&R Block also offers audit protection and access to tax professionals, as well as a mobile filing option. e-File is another tax filing software, but it’s fairly simplistic. For example, federal filing is free, but there is no live chat option, which could become an issue if you get stuck. Other competitors include TaxAct, which is competitive price-wise but offers no live chat option or access to tax professional for questions. Overall, TurboTax offers the best of both worlds – competitive pricing, accuracy guarantee, and robust support options. Filing your taxes with TurboTax feels more like a conversation with a very understanding therapist or financial advisor. The blows of disclosing your AGI and digging through your home filing cabinet looking for misplaced W-2s are softened a bit by the software’s penchant for a great UX and a bit of snarky humor. TurboTax’s Basic package is the best, and most cost-effective, option for those with simple tax situations, free from complicated investment or rental property earnings, and probably not a good fit for the self-employed. It’s also great for the millennial crowd, or anyone who enjoys a smooth user experience and immediate gratification, due to its super quick support wait times and a running tally of your expected tax return.